Today marks the 100th anniversary of the birth of Leonard Rose (1918-1984), one of the greatest cellists of the twentieth century. Born in Washington, D.C. into a family of Ukrainian immigrants, Rose joined Arturo Toscanini’s NBC Symphony Orchestra as associate principal cellist at the age of 20. 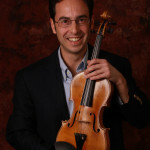 At 21 he became principal cellist of the Cleveland Orchestra. In 1943, at age 26, he accepted the same position with the New York Philharmonic. In 1951 he left the orchestra to pursue a solo career. 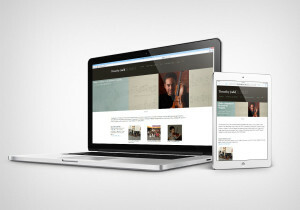 He taught at the Juilliard School of Music from 1947 until his death, and at the Curtis Institute from 1952 until 1962. At one point, four of the cellists in the Philadelphia Orchestra, five in the New York Philharmonic, six in the Cleveland Orchestra and seven in the Boston Symphony Orchestra had been proteges of Mr. Rose. 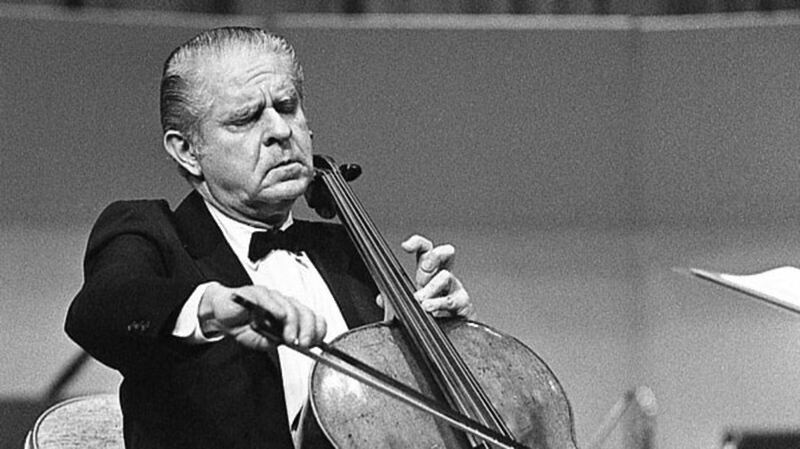 Erich Leinsdorf used to refer to the Boston cellists as the ”Rose section.” Other pupils included Lynn Harrell and Yo-Yo Ma. As a member of the Richmond Symphony, I have been fortunate to catch a glimpse of Leonard Rose’s legacy through the rich, opulent tone and exemplary musicianship of our principal cellist, Neal Cary, who was a student of Rose. For years I’ve had sketches for the book of Ecclesiastes that I wanted to put into music…if you will, the cello can be imagined to be the reincarnated voice of King Solomon, while the orchestra’s more complex voice belongs to his time, his world…to his experience. The cello represents a meditative voice, tragically alone. We are three major personalities, three prima donnas, yet we have to blend and give and come to a common understanding…One does not impose his personality on the rest; we arrive at mutually acceptable decisions.